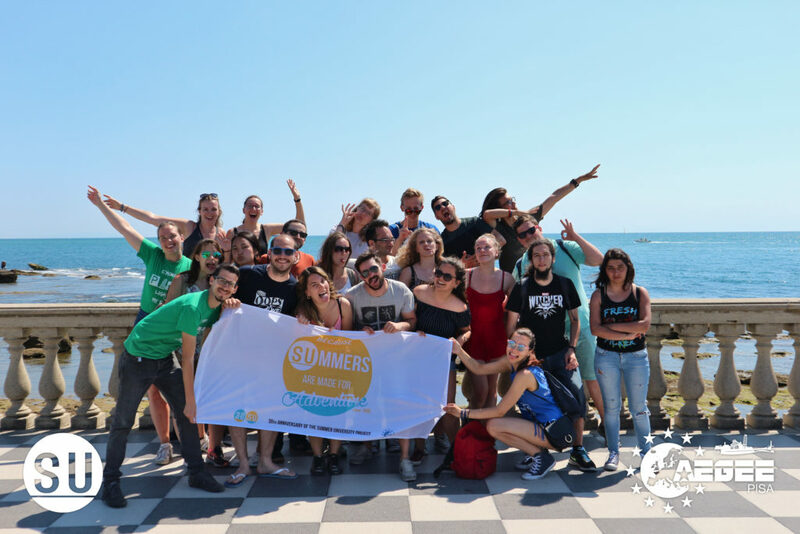 This year AEGEE saw the premiere of a new type of summer event as part of the 30th anniversary celebration of AEGEE’s Summer University project: the Summer Breaks. With maximum one week and lower fees this type of event also tried to tackle the SU application fatigue, the decreasing number of applicants. Four Summer Breaks took place, in Pisa, León, Paris and as Palmas. The very first one was organized by AEGEE-Pisa. The organisers’ conclusion is positive: “We think that it was the perfect compromise between a summer university and an AEGEE event”. Golden Times: Why did you decide to organize a Summer Break and not a standard Summer University? AEGEE-Pisa: We are a small antenna, which is growing quite fast, but with few active old members. 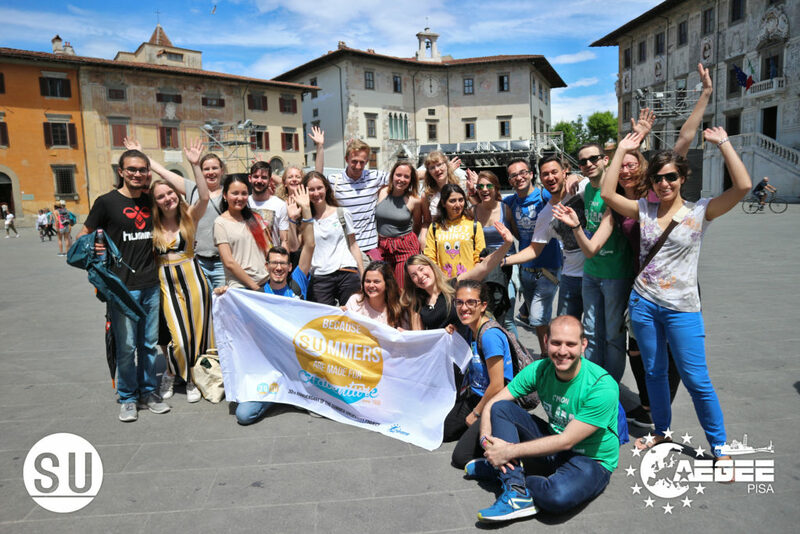 Applying for a Summer Break has been already a challenge for us, since “C’mon Pisa light fire!” was born as an AEGEE meeting of 4 or 5 days. This is the first year that we succeeded to include it in the SU project. GT: How do you like the idea of the Summer Break? AEGEE-Pisa: We have the tradition of this summer event, which is in the week of the biggest city festival in honor of the patron Saint Ranieri. This year, putting our event under the umbrella of the Summer University project gave us more visibility, this is also why for us it has been an important goal. GT: Did organizing a Summer Break fulfill your expectations? Or is a full Summer University better? What are the pros and cons? 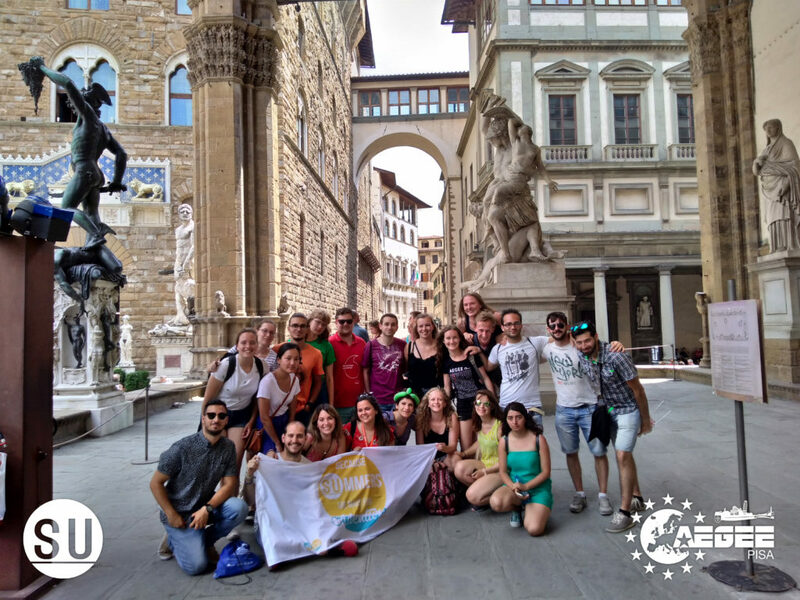 AEGEE-Pisa: We think that it was the perfect compromise between a summer university and an AEGEE event. We had a lot of ideas for this year and maybe there was space for a full Summer University but we hadn’t enough energies and people for it. GT: How many participants and how many organisers did you have? AEGEE-Pisa: We had 20 participants, 1 helper and 11 organizers. GT: What was the Summer Break about? AEGEE-Pisa: It was all about Tuscan traditions and folklore. We decided to promote games, dances and songs which are well known among locals, but not so widespread abroad. Even in the choice of the cities to visit, we gave much more importance to their history: we visited the ancient maritime republic of Pisa and later the Medicean city of Livorno, well known for its maritime past, and also Lucca, where we had a tour by bike through the old medieval streets. We learned how to make a real Italian pizza and how to better digest, as well as joining a Color Run up the city walls of Lucca. The last day we spent In Florence where our participants were able to admire the Italian renaissance. GT: What were the greatest thematic programme highlights of the Summer Break? AEGEE-Pisa: For sure the workshops about Tuscan folklore like Gioco del Ponte, pizza workshop, quadrille dance, but also the Color Run in Lucca and the improvisation workshop. 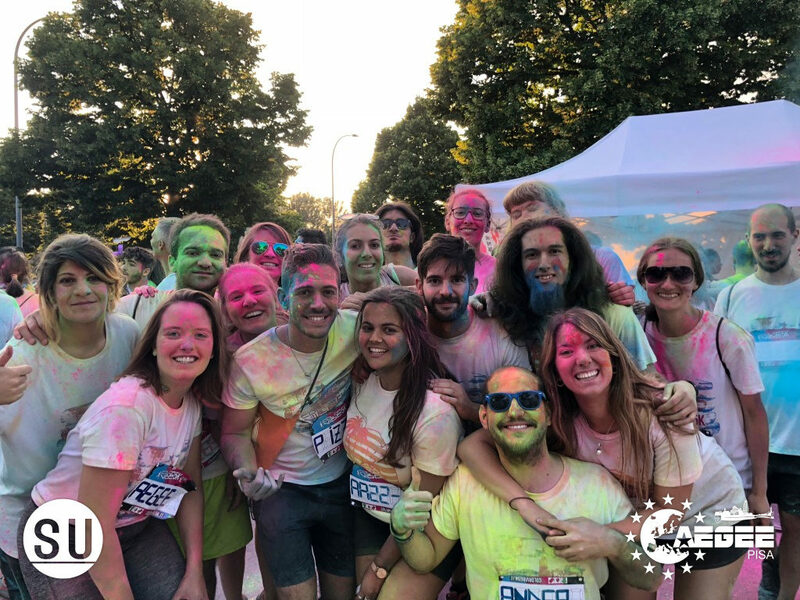 AEGEE-Pisa: One of the most exciting moments was before and after the color run, when dancing participants and organizers started throwing colors in the air. Another one was the fashion night, in which we had an aperitivo in a club where models were walking the catwalk and later we went wild on the dance floor. GT: How was the group of participants and your cooperation in the organizing team? AEGEE-Pisa: We couldn’t hope for a better group! We have been a family from the first day, with the art lovers, sport-addicted guy and the Spanish ghetto always ready for parties! Also the organizers succeeded in spending enough time with the participants, enough to become all mama and papa! GT: How was the romance factor of the Summer Break? Where there many couples and what were the highlights from the gossip box? AEGEE-Pisa: We had just one couple but several rumors about others in the gossip box, which was always full of new gossips. 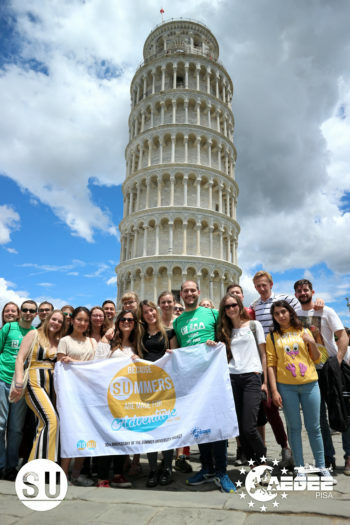 AEGEE-Pisa: It was an amazing experience, and we hope next year we will apply for a real SU! Check also the Facebook album of this year’s Summer Universities! 73 Summer Universities in 2016: Get ready for the perfect summer!